This season’s most versatile trend looks good on everyone. 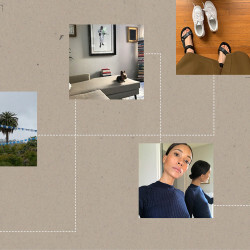 In the depths of winter, when all your adorable warm-weather clothes hang limp and sad in your closet, it can be hard to feel inspired to put together a sub-zero-temperature-appropriate outfit. The struggle is very, very real. But let us not forget about the undisputed MVP of layering: the blazer. As a staple of the street-style set, this humble jacket has quickly become one of the most versatile articles of clothing in our wardrobes. To start, the options are seemingly endless—oversized, structured, silk, wool, cropped, plaid, the list goes on. 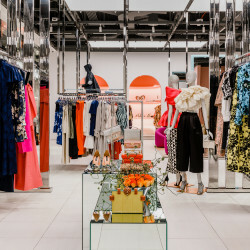 Add in a few key accessories along with your preferred top and bottom (not to mention some killer shoes), and you have an outfit that will carry you through to spring dressed to impress. Check out how six of our editors love to style their favorite blazer outfits. 1. 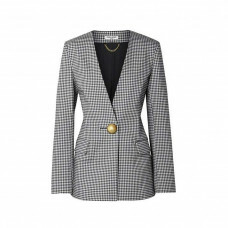 Emilia Wickstead Michelle Houndstooth Tweed Blazer: My all-time favorite blazer right now (and in truth, I have many, so this is tough) is a vintage Jil Sander grey-and-white houndstooth. But I wear it so often that I think snagging a backup version would be wise. You can never have too much of a good thing, right? This Emilia Wickstead has the ideal tailored yet slightly oversized fit that I love, and the lilac, blue, and grey colorway is different enough from my original to justify the price. Plus, it’s on sale! 2. 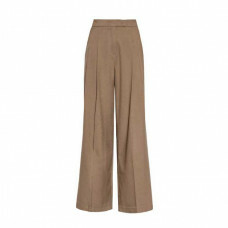 Pixie Market Brown Pleated Pants: If I could only wear t-shirts and slouchy trousers every day, I 100 percent would, but I’ll start with this pair from Pixie Market. If I don’t feel like pairing my blazer with vintage jeans, then this gorgeous wide-leg pair is an extremely close second. Throw on a delicate cashmere turtleneck in heather grey, and I’m ready to brave the winter chill. 3. 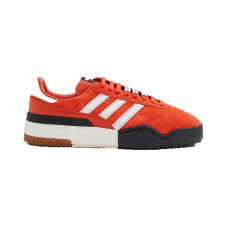 Adidas x Alexander Wang AW BBall Soccer Sneaker: To keep this look from feeling too buttoned-up, sneakers are a must. I’ve loved the new adidas x Alexander Wang collab for months, and I think it’s time to scoop a pair for myself. The pop of orange will pick up the colors in the blazer and pair perfectly with the muted trousers. New favorite look coming through. 1. 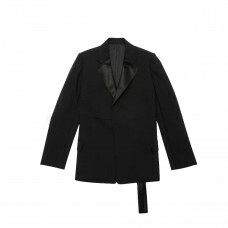 Helmut Lang Black Canvas Tuxedo Blazer: My jaw literally dropped when I saw this blazer. (If you don’t believe me, ask Noah; she sits across from me). I’ve been a fan of Helmut Lang for a lonnnnnnng time, and this piece confirmed that that’s not changing anytime soon. 2. White Fox Label Addicted To You Crop Top: I don’t like to do too, too much under a blazer. A nice and simple crop top like this one from White Fox Label is all you need to take the outfit from chic to chic-er. Know what I mean? 3. 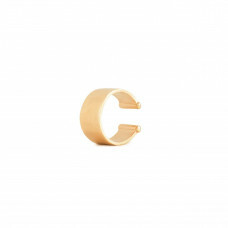 Mejuri Boyfriend Cuff: I’m ear-cuff-crazy lately, and this one by Mejuri is the perfect addition to my blazer look. I’m envisioning my hair perfectly slicked back in a long pony so that the cuff can shine in all its glory. 2. Silvia Tcherassi Elvis Pant: I love a good bell-bottom pant, so these black ones are perfect! 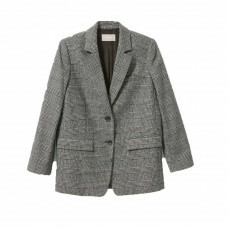 I especially like the slimming cut, which is perfect if your blazer is more of an oversized fit. I already have about six pairs of bell-bottoms, but this pair is making it seven. 3. Freda Salvador Charm Boots: These boots are everything! They are neutral colors but really make any outfit stand out. 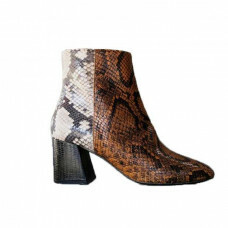 I love the multi-use of snake pattern, giving a classic boot an upgrade. They’ve been my favorite everyday shoe all season long. 1. 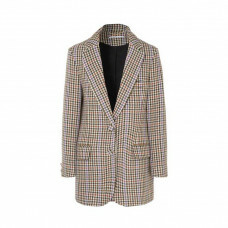 Opening Ceremony Gingham Lady Blazer: When I found this gingham number, I immediately thought of my mother’s treasure trove of vintage blazers. Seeing that I’m no longer there to raid her collection daily, I’ll settle for this modern take on a classic fit. Layer a turtleneck underneath, and you’re good to go! 2. 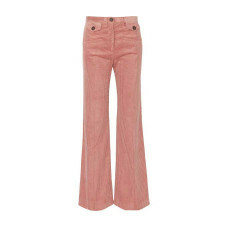 Alexa Chung Flare Corduroy Trousers: Yes, a good pair of jeans will undoubtedly go with everything, but I’m here to make a case for flared Pepto-pink cords. From color-block accessories to the fitted blazer in my shopping cart (see above), I’m already plotting the ways I can wear these babies. 3. Reliqua Kind Heart Earrings: Like shoulder pads, the same rule applies to my standard for earrings: the bigger, the better. 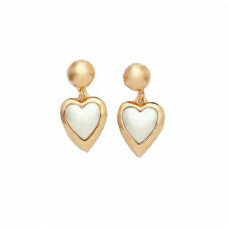 These heart-shaped gems are sure to make any outfit a bit sweeter and truly lend to my love for the ’80s. 1. 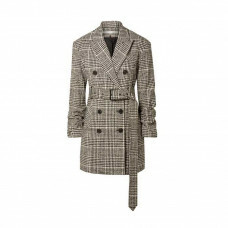 Veronica Beard Tweed Mini Dress: For years I have longed to pull off a blazer dress. With the trend in full swing, it seems like the appropriate time to muster the confidence to sport this leggy look. My new year’s resolution is to be more aggressive, so I guess this kind of counts? 2. Prada Slouchy Boots: To make up for the lack of fabric in the dress, I’m pairing this blazer dress with some extra boot coverage. This tall, slouchy pair will do just the trick! 3. 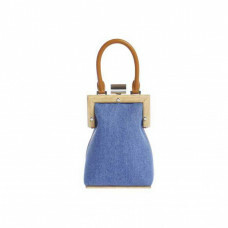 Perrin Paris La Minaudiere: Power suiting calls for a power bag to tote. I recently came across the celebrated label Perrin while scrolling on Instagram. The French label has established that Parisian cool factor dating back to 1893. 1. 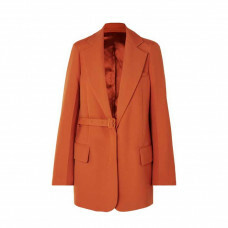 Joseph Gemina Grain de Poudre Blazer: I’ve been watching a lot of Marie Kondo’s Tidying Up on Netflix, and this blazer in burnt orange definitely “sparks joy.” The half-belt situation is subtle enough to amp up the edgy factor but still feel sleek and classic. 2. Philosophy de Lorenzo Serafini Leather Pants: I have a pretty easy time keeping the top half of my body warm in the winter, but my bottom half suffers through near frostbite in my usual denim. That’s why this season I’ve been stocking up on leather trousers. They are freaking warm! And painfully chic. I also love a warm palette of deep muted red with the burnt orange blazer. 3. 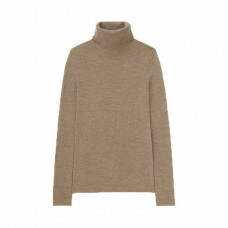 Uniqlo Turtleneck: My uniform consists of turtlenecks and merino wool or cashmere crewnecks until the ground thaws, and I have this particular one in just about every color.